While most states require newborns in rear-facing car seats until age one, it is recommend to keep them in rear-facing seats until age 2. Transporting a newborn is safest when you choose a quality car seat. Most areas require that you keep the car seat facing the rear of the car until the baby is 1 year old — the American Academy of Pediatrics recommends age 2 as of 2011 —, but that still leaves many other decisions for parents to make when choosing a seat. For example, there is the choice between a car seat made specifically for infants and a convertible car seat that fits both infants and toddlers. 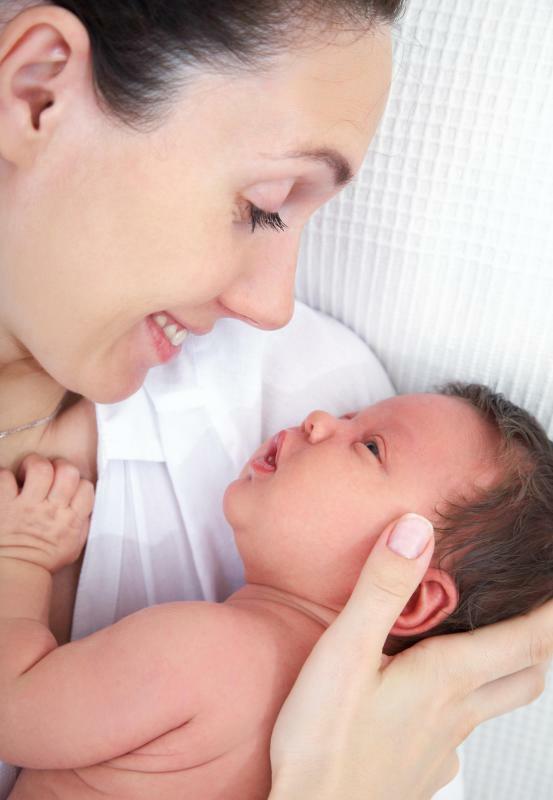 Another factor to consider before choosing a newborn car seat is whether the harness is the safest available and is easy to adjust as your baby grows. Finally, decide whether you need the extra details that some types of car seats offer, such as infant neck support or an extra base for any other cars you drive. One of the most popular types of car seat is for infants only, and this kind of newborn car seat often only fits babies up to about 20 pounds (9.1 kg). Such a seat usually comes as part of a travel system that includes a stroller. This way, you can attach the car seat to the stroller when the baby is too small to put in the included seat, and can even carry the baby around in the car seat using the handle affixed to it. On the other hand, you may be interested in a convertible car seat, which is meant to stay in the car rather than be carried around or attached to a stroller. 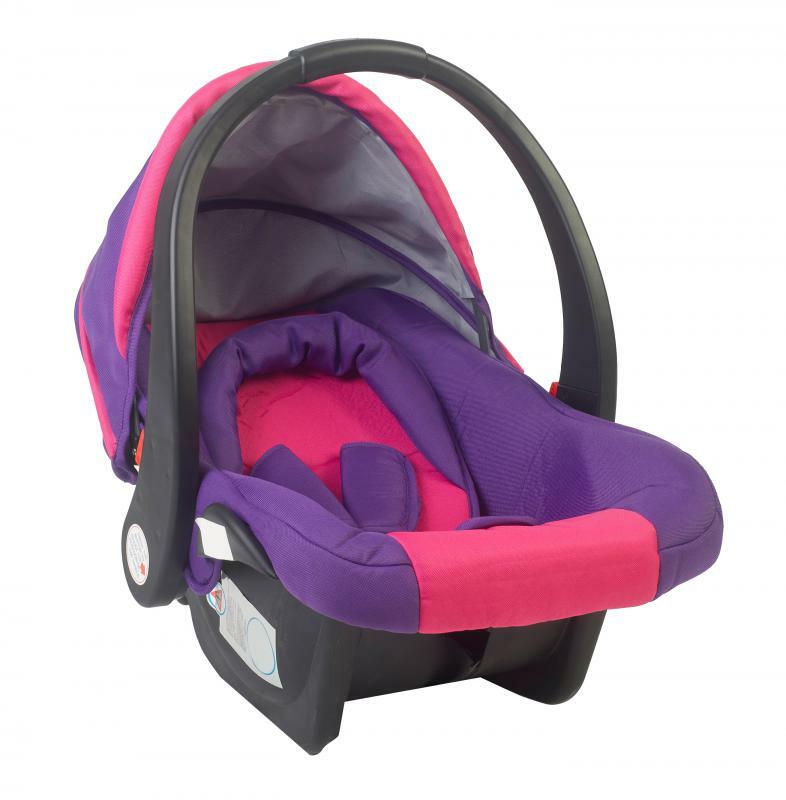 This type of car seat usually accommodates babies and children up to 100 pounds (45.5 kg) but is not usually meant for particularly small babies, such as those under 7 pounds (3.2 kg). It is also important to consider the harness in the newborn car seat. A five-point harness is considered the safest type, because it offers five areas of attachment to the car seat. Thus, the most popular car seats tend to have a five-point harness with a strap over each shoulder, one over the lap, and one between the legs. While choosing a newborn car seat with this kind of harness is important, it is helpful to find one that also allows you to adjust the harness easily as your baby grows. Consider testing out the adjustments before you buy a new car seat. Once you have made the most important decisions, it is time give extra features some thought, because they can make life a little easier. For example, many infant car seats come with a base that you install in the car, allowing you to just snap the seat in rather than having to tighten a seatbelt over it each time you use it. If you plan to transport the baby in more than one car, consider buying a newborn car seat that comes with two bases, especially if the seat in question cannot be safely used in the car with just a seatbelt. Additionally, consider a seat that comes with neck support for small babies, because this helps to hold the head steady during car rides. You can purchase many of these extra features separately, but it is handy to choose a seat that comes with its own matching items to ensure a good fit. How Do I Choose the Best Car Seat Blanket? What are the Best Tips for Car Seat Safety?